The biggest joy of having neither children nor pets is the ability to jet off for a weekend and simply lock the door behind you and hope you don’t get burgled or that you left the gas on. The other weekend, my boyfriend and I did precisely that. I had some holiday I needed to use up, we were free of 30th birthdays (they’re doing the rounds at the moment), and the opportunity was there to be seized. We had initially decided on Amsterdam but literally moments before I was about to press “buy” on eBookers, he suggested we check out the alternatives. A quick root through available flights to Tallinn, Riga, Copenhagen and Helsinki (cross-referencing prices and best possible timings) brought Helsinki out on top. Flights: purchased. 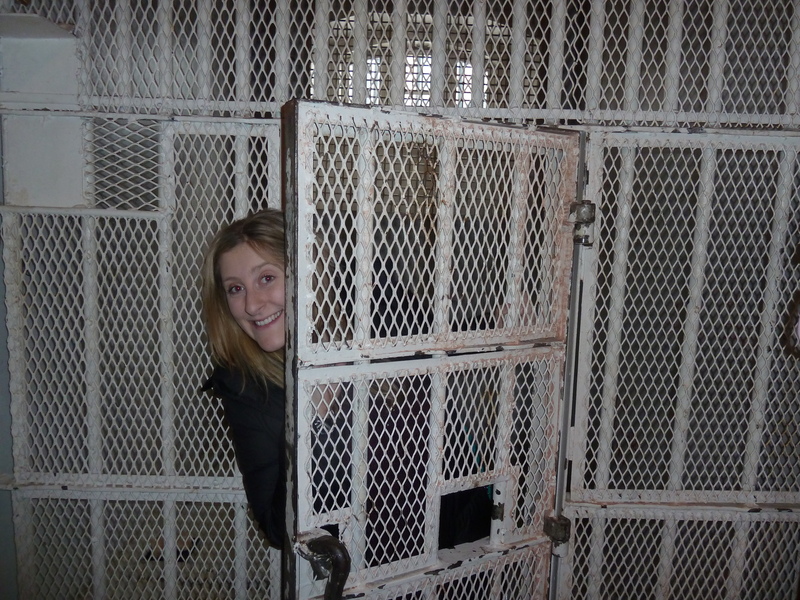 I teetered on a tantrum when it turned out that average temperatures in February are -6°C, but then discovered a luxury hotel housed in a 19th century prison, and the mood was restored. Sadly AirBNB (my accommodation stalwart) doesn’t have a great foothold in Helsinki; whereas the Best Western Katajanokka had a history, good location, and breakfast included for less than the price of the few unappetising AirBNB apartments on offer. Now I’m the first to admit that at first glance, there’s not a great deal to do in Helsinki, at least in terms of day trips or extreme sports or whatever it is you’re into. We had four days and that was probably enough. In fact there were things we didn’t do, but then we were both ill and it was intended as more of a relaxing mini-break than a tick-the-list whistle-stop weekend. But if you’re in the mood for sights then there are several you can visit. We didn’t actually go inside Helsinki Cathedral – a huge white Lutheran building which dominates the skyline – but it looks impressive enough from ground level and serves as a handy navigational point. We did pop into Uspenski Cathedral, a red-brick Orthodox church majestically placed atop a hill on the edge of Katajanokka. I found this one more compelling, with its aquamarine domes and golden spires that gleam astonishingly brightly on the occasional sunny day. Coming as I do from an Anglican country, populated by churches with grey steeples, anything domed and colourful is instantly exotic. The church is still in use and inside is equally cheerful, covered in mosaics, but surprisingly smaller than the outside would suggest; sort of a reverse TARDIS. Especially in the snow, it felt the most stereotypically Russian element of the city. There’s also the Suomenlinna, an old fort with World Heritage status which sits on its own island, a short ferry ride from the main square. 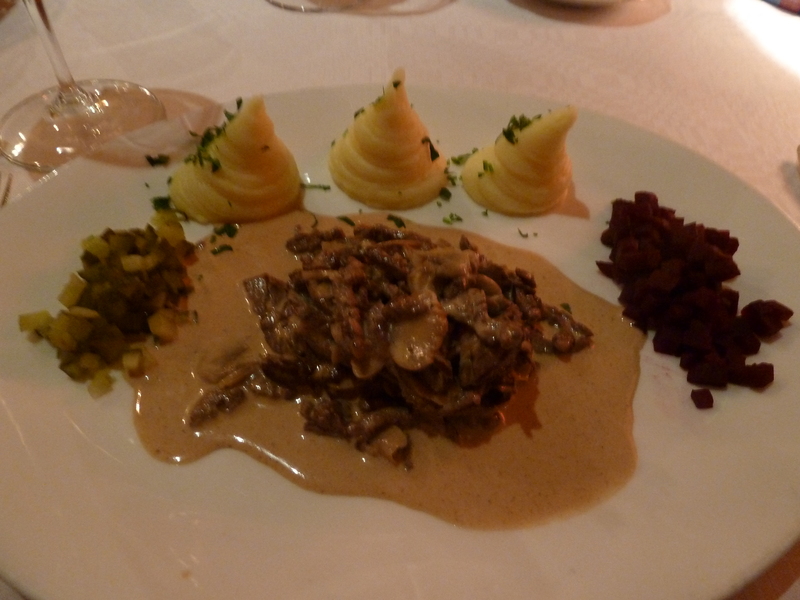 Stroganoff at Bellevue, Helsinki’s oldest restaurant. Retro! Helsinki is a worthwhile stop on a European tour, if only as a foil to other larger, more overtly grandiose capitals. There is a fascinating comparison between those which sat at the head of former empires (Vienna, Budapest, Istanbul, Brussels) and ones which were bandied about between their more powerful neighbours. The old imperial capitals boast magnificent buildings and awe-inspiring structures designed to ram home their political power and represent themselves as the dominant forces that they were. Helsinki, meanwhile, had no such need for visible extravagance or showboating and as such, the government buildings are relatively modest, and the most historical parts little more than 150 years old. Still, it serves to highlight the beauty of their cathedrals, and enables the influence of individuals on the city to be that much more apparent. My pitiful lack of historical knowledge meant that three weeks ago, I had no idea Finland was initially owned by Sweden, subsequently captured by Russia, and only gained independence in 1917. Our first house was older than that. (I have a jam jar stuck in the ice at the back of my fridge which I’m pretty sure is older than that). The former prison in which we stayed was built under the command of two separate Russian tsars. The oldest restaurant in the city, Bellevue, is Russian (we visited . . . the borsch and baked Alaska were excellent, the stroganoff under-seasoned). Everything official is written in both Finnish and Swedish, the latter remaining the country’s second official language. The country, it seems, is still trying to establish a national identity. And it’s easy to understand why. I myself continually referred to Finland as being Scandinavian, which my boyfriend wearily corrected every time. After a heated discussion it turned out that he was right (sort of): it’s not technically part of Scandinavia, although it is frequently assumed to be so and as such it’s sort of got honorary membership. I has assumed that this was because when the concept of Scandinavia was created, Finland as an independent nation simply didn’t exist. In fact it’s down to geography (Finland isn’t part of the Scandinavian peninsula (but confusingly neither is Denmark)) and language (Danish, Swedish and Norwegian share linguistic roots; Finnish has more in common with Estonian). Still, it’s undeniably Nordic, although the Russian influence in the buildings and clothing is hard to miss. And on purely anecdotal evidence, when we told people we were visiting Helsinki, the most common reaction was “why?” or, more specifically, “Why Helsinki and not Oslo/Copenhagen/Stockholm?” Why indeed? Well – that’s sort of the answer. We both like forgotten destinations, and poor old Finland seems to have slipped through the cracks. Hanging out at the Katajanokka Hotel. Thankfully, this wasn’t our room. The people we met were eternally self-effacing, enormously polite and slightly incredulous that we – two of very few tourists in the city at that time – had chosen to visit. The hotel receptionists greeted us helpfully, politely, and as we departed for our room, through smiling yet gritted teeth: “Welcome to prison”. Indeed that single phrase was an uncharacteristically tacky part (which I rather enjoyed) of a generally low-key, classy city. When we thanked restaurant staff and baristas, exalting their creations, they were uniformly embarrassed and hastened to play down their efforts. Perhaps because I’m British, I felt an affinity with their lack of outward emotion, even if we’ve loosened up a bit in recent decades. I do wonder how much of it is simply that despite their comparable size, Finland sit on the geographical verges of Europe, with a small population. Whatever the reason, the Finns seem to get a bit lost in the grand scheme of things – but they’re clearly the last people in the world to make a song and dance about it. Meanwhile, Finland is busy building up success stories, even if one doesn’t realise that the successes actually belong to them. I had always assumed Nokia to be Japanese (says more about me than the Finns, to be fair), and indeed had absolutely no idea that Angry Birds are another Finnish creation. 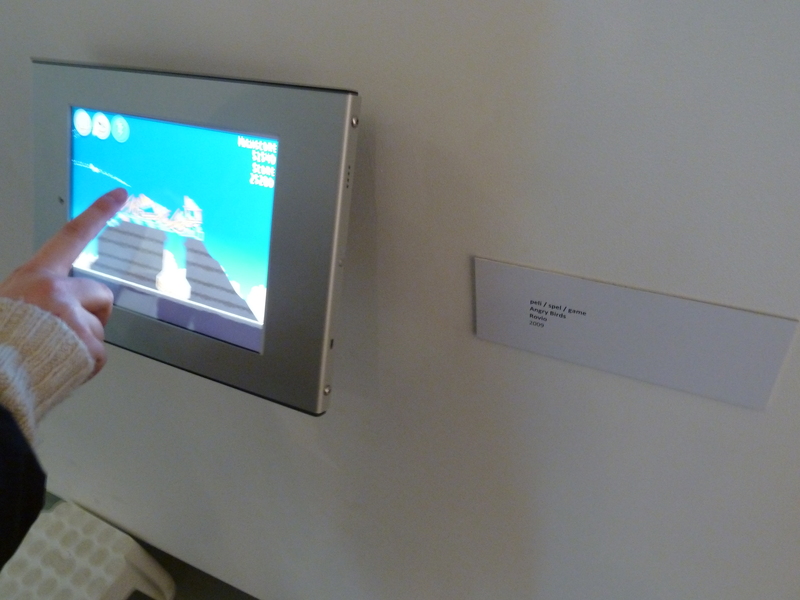 I had expected to learn more about these worldwide sensations at the Design Museum (full review here), but I was to be disappointed. They calmly and without excess pride detail the history of Finnish design which is a fascinating one (if that’s what you’re into . . . which I am), influenced by Sweden and Russia but also the industrial revolution, the world wars, the development of individuality and machine-made items. It culminated to enormous aplomb in the 1950s when the Finns swept the board at three consecutive World Design Fairs; but their fall from grace in the 1970s seemed to be something with which the museum felt far more comfortable. It’s a slightly weary attitude, an acceptance that they once did well and are now on to the next challenge. There’s no self-pity, simply self-awareness, and an assumption that everybody will pick themselves up and carry on. The latest accomplishment comes from an unexpected source: coffee. The Finns are becoming famous for it. 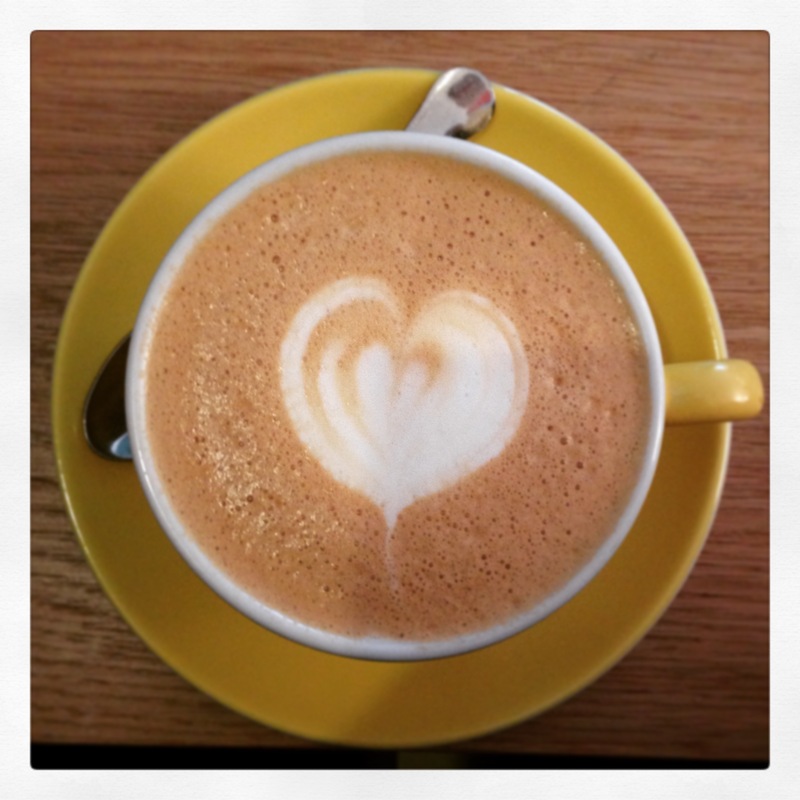 We tried several coffee shops which would not have been out of place in Shoreditch or Dalston and were never disappointed. Indeed at both Freese and the Korkeavuorenkatu branch of Kaffecentralen, I had two of the best cappuccinos I have ever tasted in my life. For reals. I do not exaggerate. (At least on this occasion). The most atmospheric award goes to Johan & Nystrom‘s concept store (sorry, the website is in Finnish (or perhaps Swedish) but more details are on their facebook page): a converted harbour-side warehouse with deeply cool mismatched chairs, exposed brick walls, vintage furniture, a warm welcome, and the bright colours which we came to associate with Finland over its Nordic neighbours. Whilst considerably more expensive than the others we tried, they make up for it with the delightful location and free wifi. As in any modern European city with a smattering of hipsters, they’re also branching out into beer; we visited Bryggeri, a brewery tucked away down one of the city’s oldest streets, all pale wood and huge copper tanks. Unlike English pubs, they don’t offer tasters, but what they do have is a wider variety of serving sizes, including a sample selection of 5 x 0.2l glasses, each containing one of Bryggeri’s own brews. After my disappointment with Belgian breweries (well, specifically Brasserie Cantillon; damn that beer is sour), I approached with some trepidation and pounced upon the mulled wine they also offered. However, once I’d downed that deliciousness, I cheerfully moved on to my boyfriend’s beers and thoroughly enjoyed them all, particularly the porter and wheat beer. Much obliged! 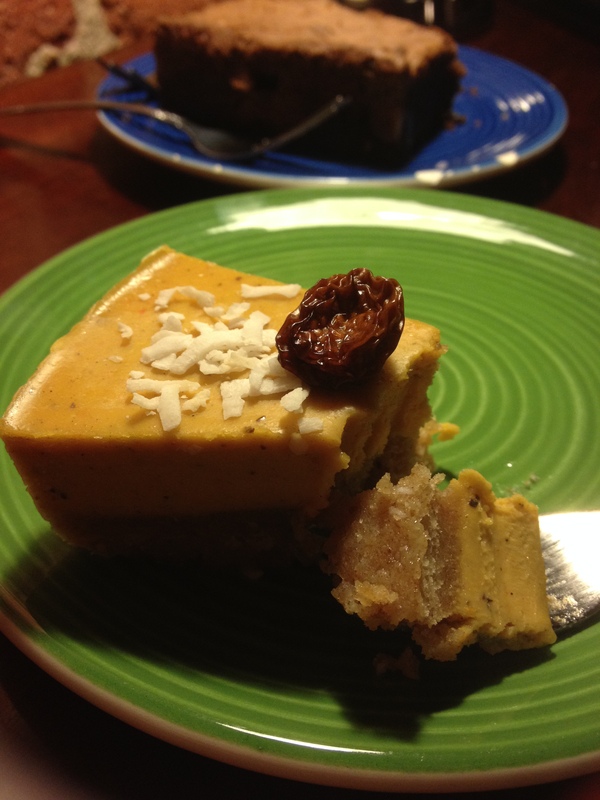 Raw cake at Johan & Nystrom. Pleasantly sour. Lovely plates. Still not certain whether or not that’s a cranberry. It was also at Bryggeri where I met a very pleasant Canadian man who thought we were teachers (we’re not, but it was as good an excuse as any to get chatting) and it transpired that he had a Finnish wife and had lived in the area for several years. My understanding of the Finnish people was arguably superficial and highly generalised, gleaned as it was over a mere 4-day trip, but it was gratifying to hear him speak of his now fellow countrymen in terms that we ourselves had used: self-effacing, modest, diligent, quiet. He bemoaned their inability to self-promote, and explained that he had taken it upon himself to tout their wares to whomever he could. The music scene in particular, he explained, is top-notch yet rarely experienced by non-locals simply because advertising is invariably limited to a single poster in the window of a nearby record shop. Even this man – a typical Canadian, equally bashful – thought the Finns needed to speak more highly of themselves, and he had made it his mission to do so on their behalf. He went on to explain that the Finns simply don’t have smalltalk (and therein lies the fundamental difference between Finland and the UK; I can talk about the weather for days and consider it a vital life skill), because they don’t want to waste your time. They say their piece and go on their way. This rang true; we had been given helpful directions on several occasions by passing locals who, unlike in perhaps every other country I’ve visited, never once asked where we were from, or headed, or how long we were staying. The information was given, and off they went. It wasn’t rude, it was efficient. It seems that the Finns are, if nothing else, an immensely efficient nation. Just look at the Nokia 3310. There is something ethereally beautiful about a city designed to be seen in winter which it felt like this one was, but I’d nonetheless very much like to return to Helsinki during the summer months when I have no doubt that it will be transformed. Whilst it had an icy beauty on this occasion, the streets were relatively empty, which made it feel at times unlived-in – even unloved – but I imagine that the residents were just sensibly remaining indoors. The temperature, in the end, hovered around -3°C, although a nasty wind on our final day brought the official “feels like” temperature down to -12°C, leaving gloveless hands in agony, and two pairs of Uniqlo Heat-Tech leggings nothing short of a lifesaver. The sky went from steel grey to bright blue, and snowfall was light. Thanks to consistently frozen temperatures, month-old snowdrifts lay at the side of every road, and our picturesque prison was permanently covered in a blanket of white which softened the harshness of its history. 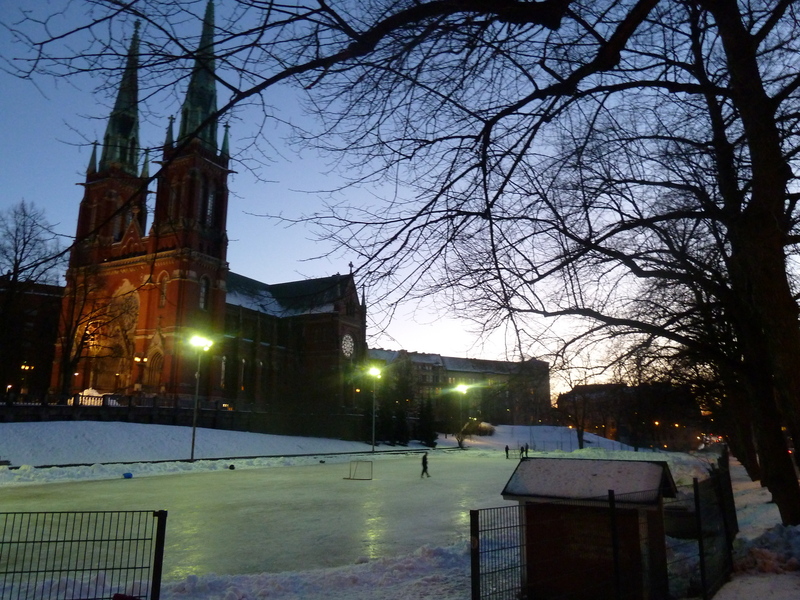 Helsinki’s harbour was completely frozen over, and an iced-up pond outside Johanneksenkirkko presented the perfect opportunity for ice hockey. 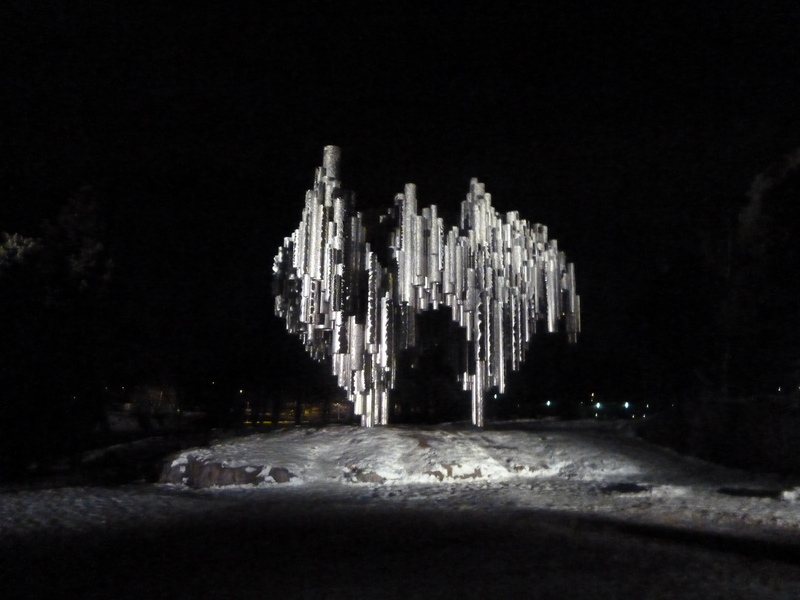 The Sibelius monument, visited at night without anybody else around, sat atop a pile of slippery ice-covered rocks which had been polished to a glassy sheen by hundreds of feet and glistened treacherously underneath the iron tubes. A long weekend was arguably enough to get a proper feel for Helsinki, but I could nonetheless have happily spent a few more days wandering its icy streets. We never made it to the fort, nor the old Olympic site, and had we been organised enough we could have booked tickets for a concert at Temppeliaukio, the “rock church” (or indeed, with more advance notice, investigated the alternative musical offerings as promised by our new Canadian friend). Nonetheless, for travellers keen to visit the slightly more obscure European capitals, or those interested in Nordic culture but unwilling to follow the crowds to Copenhagen, a long weekend in Helsinki is ideal. They’re just two hours ahead of London, with not dissimilar prices to our own (although be warned: the cost of alcohol, as with Finland’s neighbours, is astronomical). Winter is also recommended since hotels lower their prices, and with so few tourists, queues are non-existent. That said, there aren’t too many highly-recommended restaurants in the area, and the kitchens close considerably earlier than in London. If you want to eat at Lappi, which frequently popped up in our searches as the best restaurant in town, booking is unexpectedly essential (as we found to our cost). 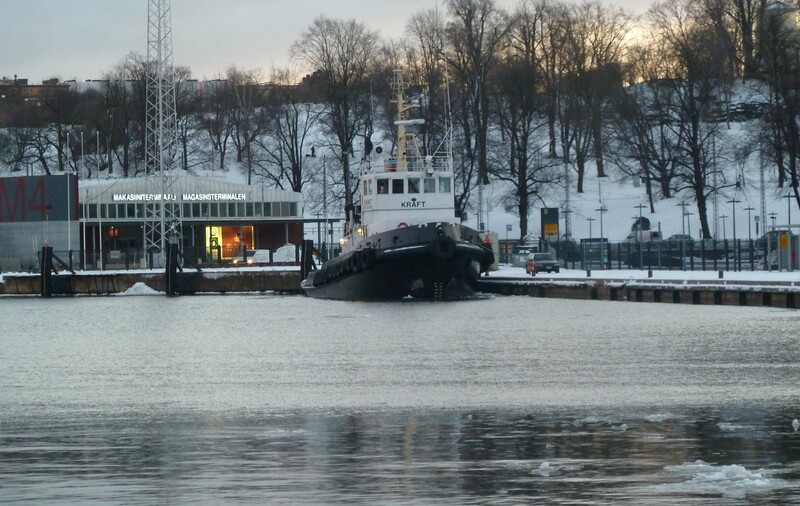 I recommend staying in Katajanokka, too. Our hotel in particular managed to be stylish and comfortable whilst retaining its unique history, was populated by friendly, ever-helpful staff, and is somewhere I’d happily stay again. 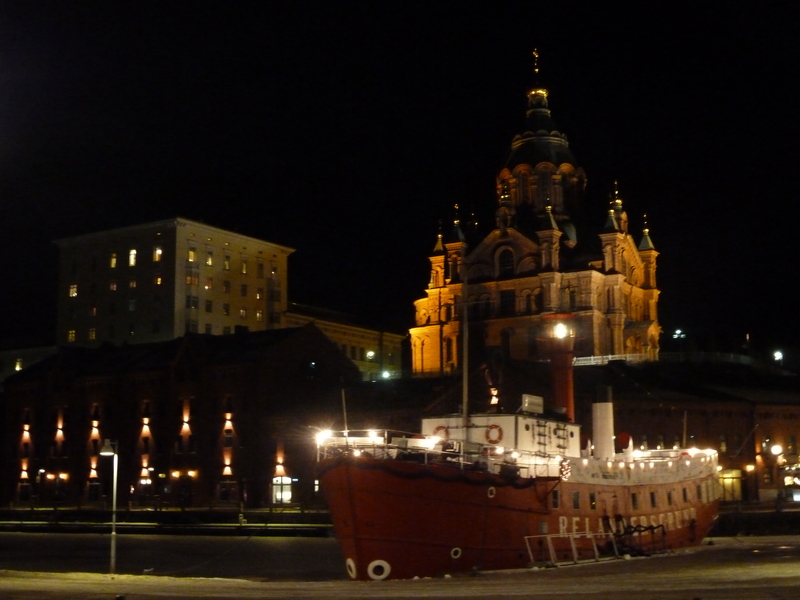 But the island itself is a great base from which to explore Helsinki: quiet, atmospheric and charming, yet close to the harbour and main square. It’s at the end of two tram routes which run infrequently but are mostly unnecessary, since the city is eminently walkable and we only used them going to and from the airport. Do visit Helsinki. Take a tolerance for strong coffee, a willingness to dispense with the small talk, and a bloody good coat. Yeh yeh, rub it in why don’t you (re the lack of children and consequent freedom to jet off whenever you like)? Of course, I’m pulling your leg and am delighted for you to go on a last-minute trip with your fella. I love the idea of a wintry city-break. There is something incredibly romantic about a freezing cold, historical city on the continent. Looks like there were some incredible photo opportunities too, which is right up my street at the moment after receiving an AMAZING camera for my birthday. A warm coat – check. A tolerance for strong coffee – absolutely. A willingness to dispense with the small-talk…. perhaps. I wouldn’t frown at you if I saw you on the swings. My 3-year old might, though. My camera… I still can’t get over it! It is a brand new DSLR by Nikon with this amazing lens that my husband picked. I need a day to myself to go and play with it. Cold food is so overrated. Get the camera.